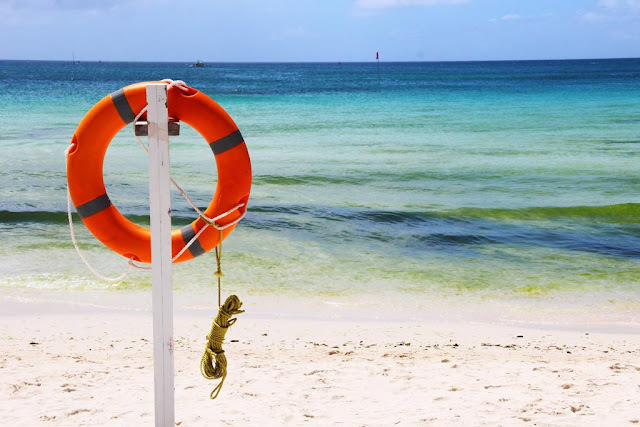 Boracay, an island located just northwest of Panay island, in central Philippines, is always what comes to mind when I think of island getaways. And the island's main beach and the primary destination, simply called White Beach, is for me is the quintessential beach destination. Stretching for more than four kilometers at the island's west side, White Beach is a sight to behold. 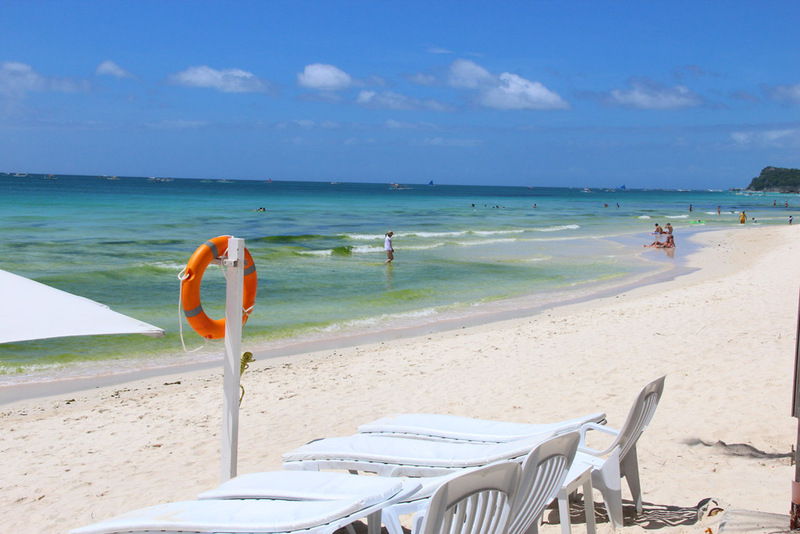 The sugary white sand beach is wide as it is long, covering the area between the the aquamarine shore and the clumps of coconut trees lining the beach. Due to the absence of iron, the sand never gets hot, even at midday when the sun is high up, making it enjoyable to walk on the beach even at high noon. The trip to the island last weekend was my third; I first went to Boracay in 1999, and again in 2007. The second one was actually what set off my wanderlust that continues up to this day. 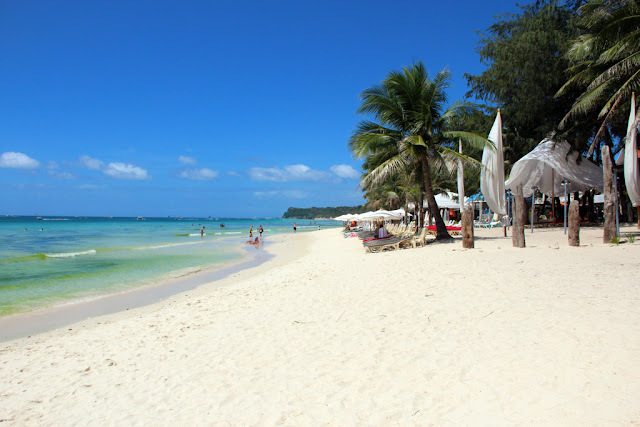 It is said that Alex Garland got his inspiration from Boracay (and Coron) when he wrote the backpacker novel The Beach. 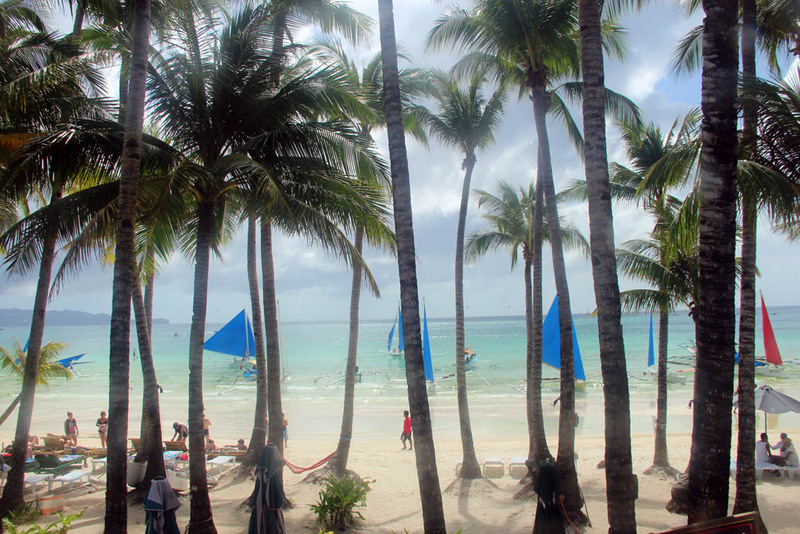 The book, which is a cautionary tale for the unfettered effects of mass tourism, seems to resonate well with how Boracay has been developing all these years. 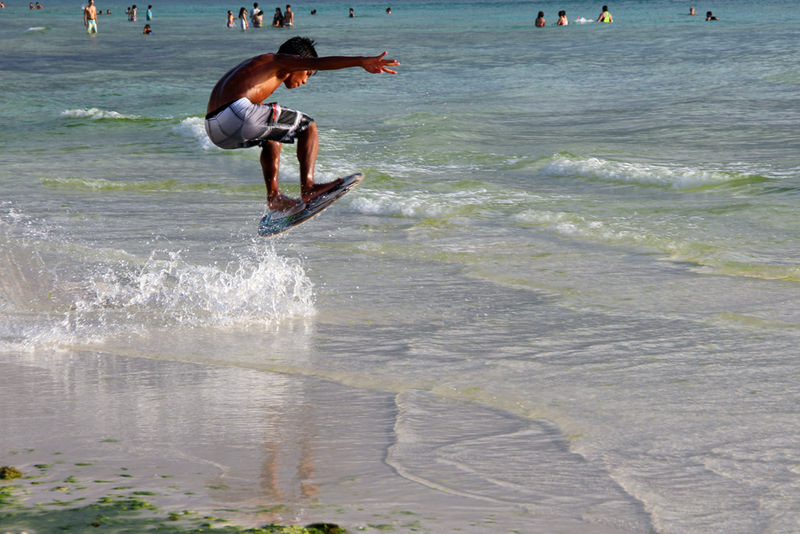 Boracay as an idyllic beach paradise is long gone now. It has becomes a little bit more touristy every time I visit the place but it is still a delight to enjoy. Tranquility was traded for a party atmosphere that unlike in no other on this part of the world. 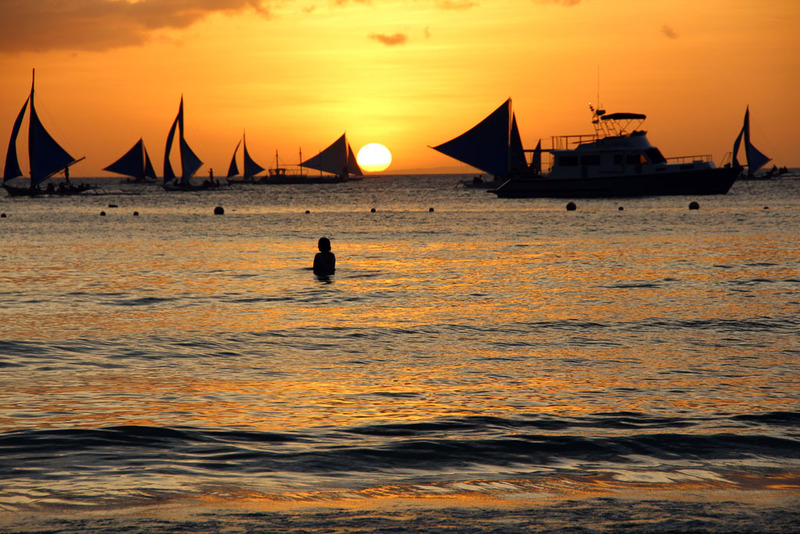 Boracay used to be an obscure backpacker destination; now it is a mainstream destination with an array of activities that can suit anyone's fancy. 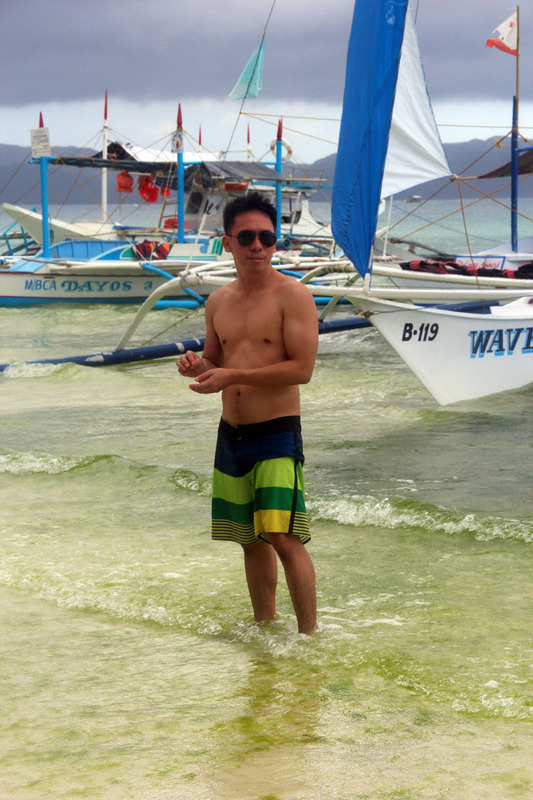 There are plenty of sailboats, called paraw, to rent to sail around the island. One can also jetski, parasail, scuba dive, and skimboard, as well as do pedestrian stuff like ride in a banana boat or go helmet diving, among others. All these can be found in White Beach. During downtime after all those activities, it is always a good idea to just lie down on the beach, get some sun and work on the tan, while sipping rum Cokes and piña colada. Or stay long enough to catch the perfect sunset. Boracay's sunset is really one of the best! For me, it is really an amazing thing that a certain beach is been written in a book. But i guess,the beach is worthy to be written with great amazement of the author because its stunning beauty can really deceive some tourists all over the world.The stunning beach, white sand, joyful and kind residence and the like, the Boracay beach all have this. As someone that grew up in Florida in the USA and spent his entire childhood around beaches... Boracay is the most beautiful beach I've ever seen.